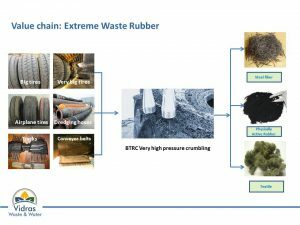 Recycling concept for Giant Tires, Tracks and Dredging and Oil Hoses. The principle is every time the same, the application differs due to different source material. This solution is a close cooperation with BTRC, Belgium.